The objective of the project Building Penetration Measurement and Modelling for Satellite Communications at L, S and C-Band was to address satellite-to-indoor propagation channel for future satellite services. 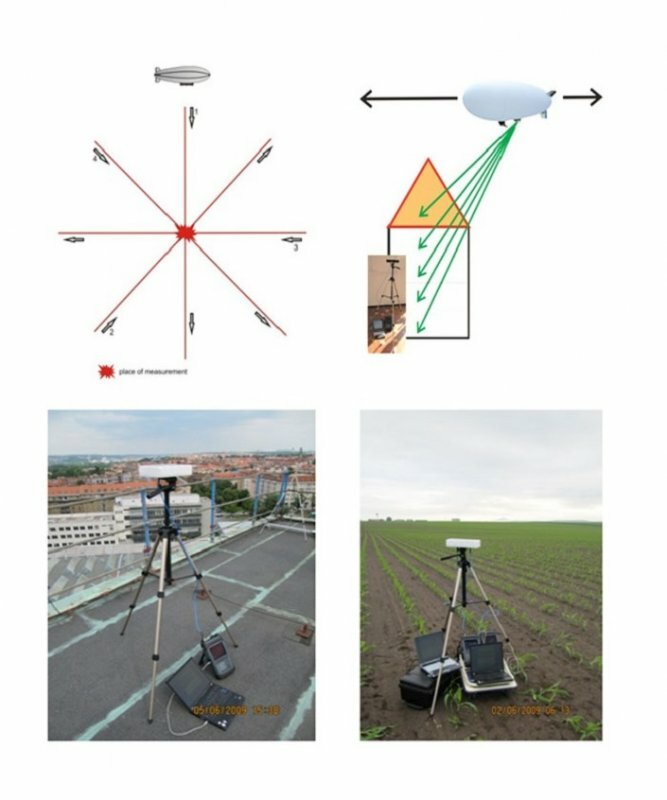 An extensive measurement campaign, covering a representative set of typical buildings in an urban area and aimed at building penetration loss for satellite services at L, S and C-band, was performed in Prague in the summer of 2009. Throughout the measurements, a remote- controlled airship was used as a pseudo-satellite carrying a transmitter. The theoretical part of the project started by the review of existing models for the satellite-to-indoor propagation channel. Selected models were later validated and compared with the obtained experimental data and the new derived empirical models. For these purposes, the experimental data were statistically processed and categorized at first, namely to investigate building penetration loss as a function of frequency, elevation angle, azimuth angle with respect to the building orientation, floor number with respect to surrounding roof heights, position within the indoor environment, type of the building and its surroundings, and receiver antenna orientation. Each measurement scenario was thoroughly investigated to identify all the predicted effects influencing the wave propagation. The theoretical part of the project followed both the statistical/empirical approach to provide efficient models for propagation modelling as well as deterministic approach to understand the wave propagation mechanisms of the satellite-to-indoor channel. As the main result, new empirical models of building penetration loss for satellite services at L, S and C-band were proposed. The results were published as journal papers and presented at several conferences. Czech Technical University in Prague is the largest technical university in the Czech Republic with 300 hundred years of tradition. The University has about 3200 employees in 8 faculties and several independent institutes. Faculty of Electrical Engineering targets activities in research and education towards state-of-the-art research in selected areas of electrical engineering, telecommunications, automation, informatics and computer science. The focus of the Department of Electromagnetic Field is on antennas and propagation, electromagnetic field theory, microwave and milimetre wave techniques, terahertz spectroscopy, optical communications, EMC/EMI. Teaching and research in the field of antennas and radiowave propagation has long tradition at the department. Shielded anechoic antenna chamber and microwave laboratories support the activities by large variety of implemented measurements methods in frequency bands from few MHz up to 110 GHz. The department disposes of several professional software tools for antenna and microwave circuits design as well as of in-house developed software for advanced propagation predictions. What would you name as main benefits of the project to you and your department? Diagram of airshp flights with the broadcasters over the measured position and the calibration measurement in the open space.